Last week, our Young Wonders Child Development Center participated in the Week of the Young Child, a national event created by the National Association for the Education of Young Children (NAEYC) celebrating the importance of early learning. Here is a recap of each day! 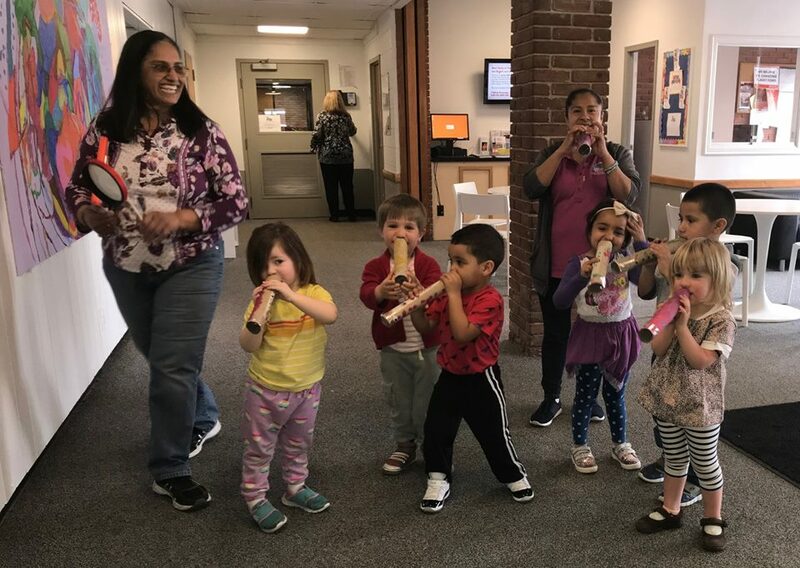 Music Monday: Our young wonders took to the hallways and Bramwell lawn and played instruments (some diy, others chosen from our library) and sang songs. This fosters creativity and encourages children to express themselves through music. Tasty Tuesday: Each classroom created a healthy snack to enjoy at snack time. This teaches the children to make healthy eating choices. Work together Wednesday: Our classes worked together using building blocks, which helps foster teamwork and community. Artsy Thursday: Each classroom created an art project to share with their family. This encourage self-expression through art. Family Friday: We held a family breakfast in the lobby. Parents were invited to stop and eat with their children before drop off. It was great to end the week with an activity highlighting the importance of spending time with family!